Apps inspired by sailing and boating. A GRIB file viewer - giving you mobile access to the weather data the professionals use. 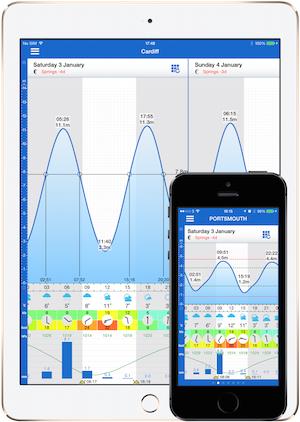 The original, essential all-rounder app for UK sailors and others using our coastal waters. A personal log book for recording your sailing and boating activity. A free and handy guide to UK marinas. The IOS app for members of the Cruising Association. In conjunction with Boatlaunch.co.uk, a guide to UK slipways for trailer-sailors and others.